It was not a long time ago when the second album of the group Wienananda was released. It brings amazing songs and we can say it is the dignified successor of the first album. The new record is called „Pure Joy“ and it is indeed really joyful. We observed the new production of the group and we can say that the record is being very well received by the audience. That’s why we speak to one of the composers, Ronald Subkus, and ask a few questions. Ronald, you have made the second album which is as excellent as the first one. Had you written the songs for it before you made the first album? Yes, Vlada, indeed we had already composed 2-3 of the songs from the new Album around the time we made ‚The Joy of Vienna‘. But they were very new at that time and not completely ready. Also the album was already quite long, so we decided to put these songs on a second CD. Such a song was for example Tad Niskala. I personally feel that this was a very good decision as these songs have layed a perfect foundation for the "Pure Joy" CD. The style of the group is unique, it came to my mind that both records could be released as a double album. Have you had the same idea? No actually we didn’t have this idea yet, but if our friends and listeners want a double CD we can certainly release one. Right now we are thinking about re-printing ‚The Joy of Vienna‘ as we have nearly no CDs left. So this would be definetely our priority. I love the names of the Deities that are set to music – there are a lot of them on the record. Is it the way the group is going? 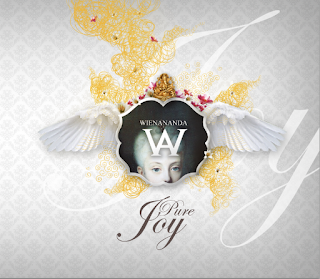 Do you feel a difference between both CDs "The Joy of Vienna" and "Pure Joy"? Yes there is actually a difference if you compare both albums. Pure Joy is much better produced than "The Joy of Vienna". You can really feel how much work our new Guitarist Malte has put into the sound editing and mixing. Malte is not only our guitarist, but he is also a very talented sound engineer who together with Thomas achieved this great result. We would like to describe the album more to the listeners who have not had the chance to hear it yet. Could you please write something about each song? The text has been taken from the SY mantra book and encompasses nearly the full ‚Mantras of the Back Agnya‘. These are the Mantras to destroy negativity. The basic version of this song has been written by me on a vibrational very challenging day. Imagine one of the worst days of your life.. J It was such a one. But after singing the tune to Shri Mataji immediate relief and joy came. It is one of our favorite songs as the mantras are so strong. For the recording we had the help of the amazing London Violoncello player Emily Mitchell. This is a traditional Indian Shloka based on the names of Shri Durga. It has been found and recited by Madhawi. As she is Indian, the Shloka really sounds like sung in an Indian Temple. We used it as the intro for Shri Durga Mata. This is a song in praise of Shri Durga in Portuguese. The song was written by Maria Lourdes de Mello the mother of David, one of our Lead singers. It is really a beautiful and heartopening song. David played it solo a couple of years ago and it was always clear that we have to learn and record it with the group. The lyrics are from a very famous sanskrit text which also Shri Mataji cited in her lectures. You can find it on page 159 of the Mantrabook. It says: "Weapons cannot cut the spirit.. whenever dharma declines I (Shri Krishna) will incarnate. It is really joyful but also serious to sing this song. It somehow has both sides to it. Madhuri and Samhara Shakti. Romain Mollard, the well known flute player from France, added the colourful mood of his instrument to this song. This composition is a homage to the Incarnation of Shri Mataji. It has been spontaneously written, just shortly before the recording, as the last song of the new album. 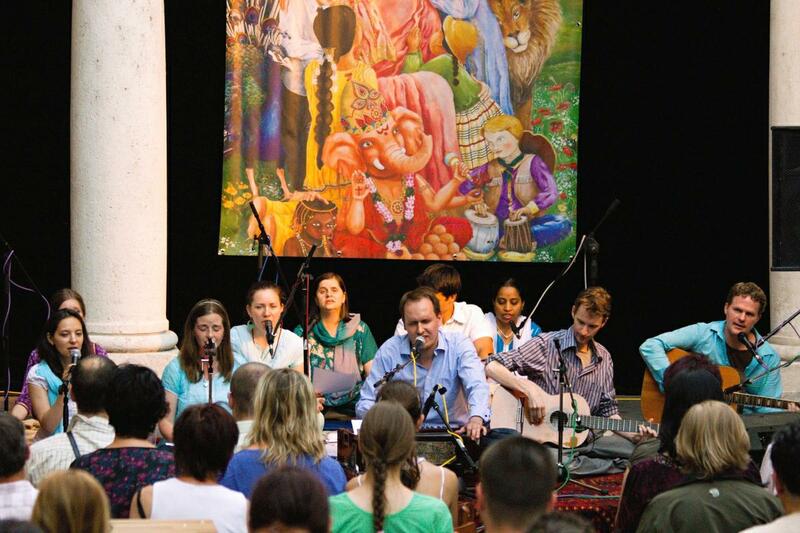 It is such a joygiving and easy song, that it is such a joy to sing it. Compared to many of our other songs which have a lot of minor (dramatic, deep) chords, this song has only 3 major chords which makes it very light. 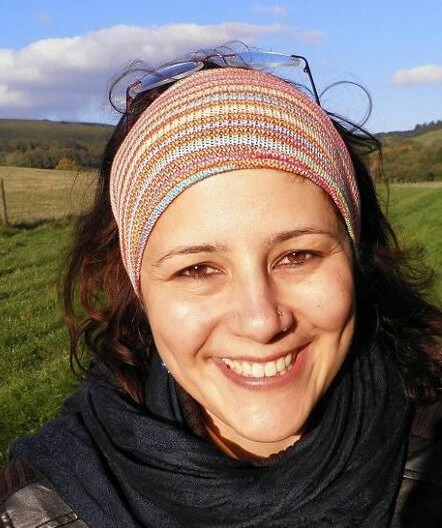 The London based Austrian Yogini Sia Reddy played the beautiful violin for us, which really gave the song the final touch. This song is based on some of the names of Shri Bhairava. (St. Michael) Interestingly this song has been written by Michael our lead guitarrist. It has kind of a spanish, flamenco touch and is quite fast .Its really amazing to play this song. It has so much power and emotion. The flame of St. Michael - This instrumental has been spontaneously made by David and Michael, our lead Guitarrists. It happened just two days before the recording session. It is like the second part of Shri Bhairava combining slow and fast parts. David and Michael are amazing together.. David giving such strong rythm in which Michi can just dance with the melody.. I thought the instrumentals from the first CD were amazing, but this one is maybe even a bit better. An melody was in the beginning, but until the song was ready it took three years.. From time to time new parts were tried and added until finally we felt it was ready. Maybe it took so long, because its not so easy to become fully the spirit.J The sanskrit text is written by the ancient saint Adi Shankaracharya. It says: I'm neither the mind, the body, ego nor thought.. I AM SHIVA. 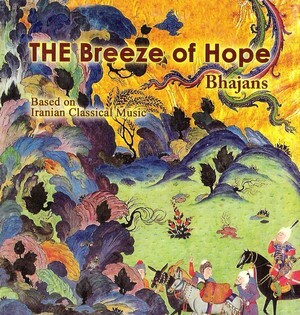 It is a song which has three different musical parts and its challenging to play it. But we always loved it. It was supposed to be already on our first CD but it didn’t feel ready that time. 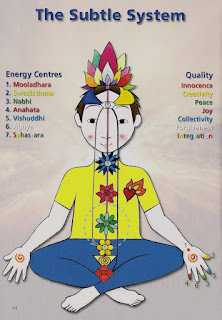 How Wienananda introduces themselves to the public? Do you have concerts often? Where can we see you soon? 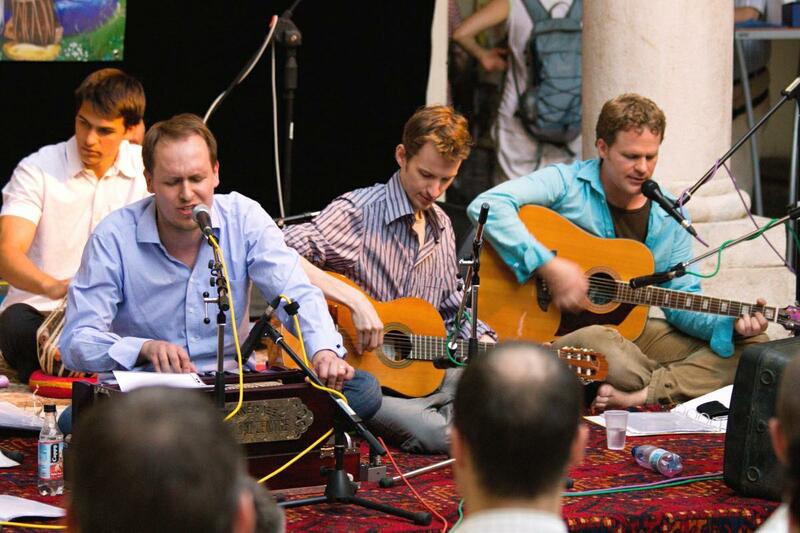 Wienananda is playing concerts regularly though not very often. Our last two performances were in February and April in Vac, Hungary and Vienna and in June 16th we played a concert in Brno. 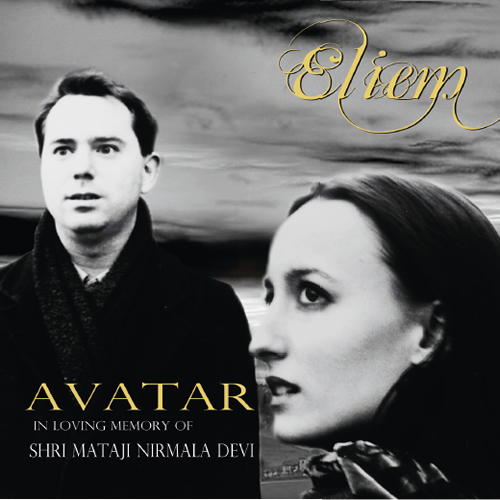 we are pleased to inform you that we have added to the broadcast one new single Austrian group ELIEM - AVATAR. When in January the postman arrived and handed me an amazing CD with children´s songs, I received it with a big smile and joy. I love these recordings with the feel of innocence, purity and bubbling joy. 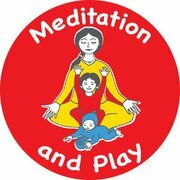 The album is called Meditation and Play and the coordinator of this beautiful project is yogini Sia Reddy. 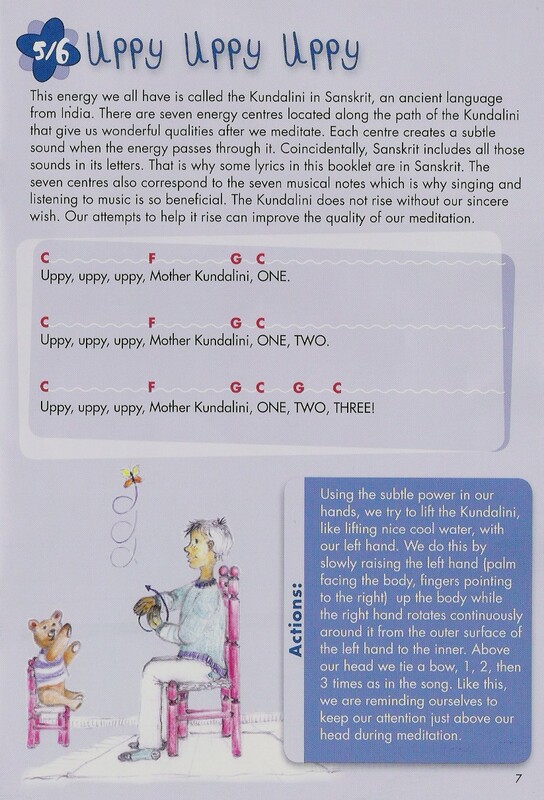 The recording is aimed for parents with young children aged up to five and it offers one special feature, which I haven´t found on other CD´s so far - the possibility to sing together with the children only to instrumental music, to teach them Sahaja yoga techniques and to meditate with them. I asked Sia to tell us more about the album. Sia, can you introduce yourself to us briefly? I am originally from Austria, 40 years old and mother of three. I studied Music and French and even though I have worked in offices since we moved to the UK, my heart was always with Music. In 2007, the idea of M&P came up and I wrote a few children's songs for the album (all other songs have already been around). I always felt that music was a wonderful way of teaching children how to meditate. Combined with some actions, they take to it in a playful manner. Since one year I am teaching violin, piano and recorder from home and am always keen to be involved in Sahaj music projects. How did you get the idea of recording this album for children? Where did it come to exist and who helped you? A Yogini sister, Kate. 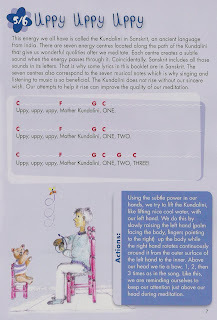 H., a dear friend, and myself had the idea of starting a Meditation class for children under 5 and their parents in Maidenhead, the town where we live and where Shri Mataji even came for a visit a few years ago. As we were not quite sure how to go about planning classes that would be full of art, music, movement and also information material for the parents, we sent out an email inviting Yogis/inis all over the world to join in and help out. And so “Meditation and Play” and its lovely Email forum with over 200 members was born, a lovely Sahaj community of people interested in sharing materials, ideas and also reports from Events for Children all over the world. It is a great number of people who has collaborated on this project, many of whom have never met in person but communicated over the net. Each and everyone had his input and his say. If I think back how long it took for example until we finally decided on the logo and its colours….it was months! But what incredible joy whenever we talk, chat – sometimes for hours on skype to work out little things regarding layout, text correction etc etc.. 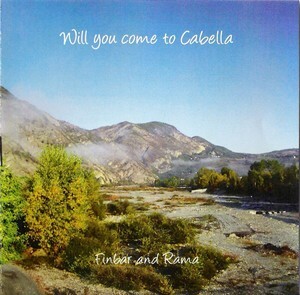 This album is extraordinary in the way that it contains two versions of your songs – first a song sung with lyrics and then its instrumental version, which enables the parents and their children to sing it. It is a great idea. How did you find out and what did you follow with it? 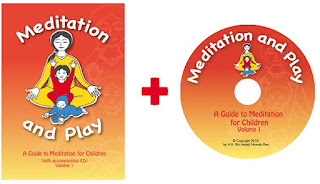 The booklet and CD were produced for Meditation and Play classes really, as an introduction book for parents to teach them the basics of Sahaja Yoga Meditation, but also full of colourful pictures to each song for the kids to enjoy. It is a course book really, a tool for Yogis/inis to use when running classes in order to get them started. When I saw German children’s CDs which included also “instrumental only” or “sing-along” tracks, I thought this would be a great idea for our project as the person running the class might not play an instrument but might want to sing him- or herself. It has also proven handy for people in other countries like France who have written their own words to the instrumental tracks. Now that we are starting to produce the CD in other languages – we have already recorded the German version, but this time with 19 children singing compared to 4 on the original English version- we can use the instrumental tracks and only need to record the vocals! 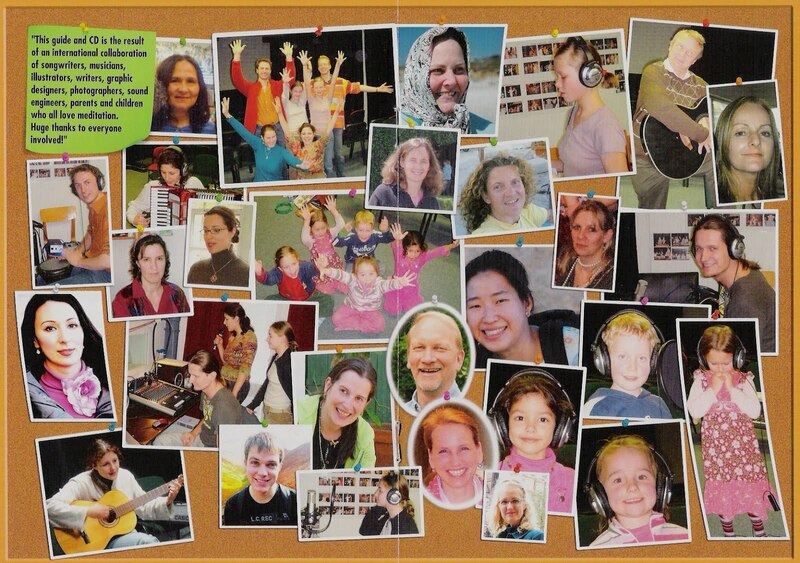 The idea to make a booklet and CD - the CD has an amazing attachment – texts, chords, instructions, treatments and so on. I have never seen anything like it so far. It is like some kind of "working” cd for children, there is a lot parents can use to teach and lead their children. Did you have the intention to produce this book with the cd already at the beginning? The production of the CD and its accompanying booklet has been an amazing experience! It all started with a vision. Well, a desire first, born out of the need for something. Then a vision. All throughout the project, we held on to our vision, the vision to create something that would not only be used by ourselves but that could be useful for many others who are interested in running M&P classes but do not know how to go about it. In the end, the product was even more professional than we ever expected it to be, thanks to all those Sahaja Yogis/inis who shared their expertise, knowledge and mostly their time to bring it all together. And we thank all the people of the Sahaja Yoga World Foundation who have made production, copy right protection and distribution possible. What would you recommend to parents while using and playing this beautiful recording? Parents as well as people organizing Meditation and Play classes may use the booklet and CD in any way they like. 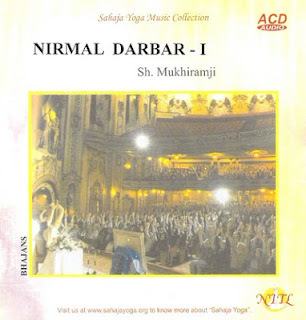 If you would like to follow the songs from beginning to end though, you will notice that the CD is divided into three parts; a Meditation part in the beginning, which takes you through the actual Meditation part of a session (usually held in the beginning), the Activity Part, which – again – accompanies the second part of a M&P class in which we dance, create art or sing, depending on what the subject it – and the third part which is useful for evening meditation at home including massage, foot soak and lullabies. The CD ends with a few lullabies and finally a long tampura sound in case Mums decide to put on the last few tracks to put their children to sleep. Where can parents buy it? As the World Foundation has generally stopped producing more CDs, all copies that are left over are with me at the moment. I am not sure if and how we will be able to produce more. My desire would be that English speaking countries like Australia, America, Canada, South Africa and also India produce CDs and booklets locally, independently and look after their distribution. India’s NITL has already expressed interest in it. We are not worried about any royalties as we do not keep any money from the project for ourselves, but I personally hope that 1 Euro, Pound or whatever currency we are talking about is kept aside per copy in order to support local M&P classes, recordings etc. That would be, you could say, our “Condition”. So far, we have been able to pay the two recording engineers with the money we had extra. Our next need would be a website that can be used by everyone running a class. Also, I am still hoping that more countries will record the M&P CD and translate the booklet into different languages like we did in German. It is great fun, plus everything is already there to use(the CD design, booklet design, instrumental recording etc), all that is needed is someone overseeing the actual recording of the children singing. Another thing we need to look into is to try selling the CD and booklet in bookstores. I simply had not had the time or the connections to get this sorted out. Maybe someone else can help out there? Thank you so much for inviting me to write/say a little something about Meditation and Play!